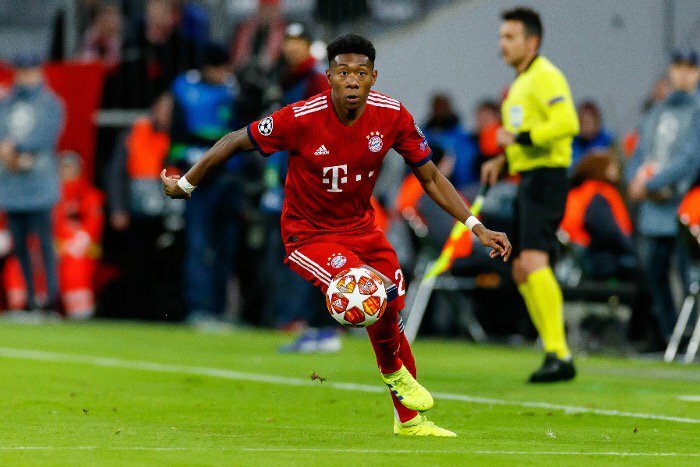 Barcelona have reportedly “explored” the possibility of signing Bayern Munich full-back David Alaba as a long-term replacement for Jordi Alba. The 26-year-old versatile defender has racked up 335 appearances for the Bavarians since making his debut in 2009 and has scored 28 times in that timeframe, being deployed mainly at left-back but also on the wing area. The Austria international admitted last week that he will consider a move away from the Bundesliga champions, with Arsenal credited with an interest. Alaba’s future at the Allianz Arena is also under scrutiny after the German outfit have agreed a £68m deal to sign Lucas Hernandez from Atletico Madrid on Wednesday. According to France Football, however, the Gunners could be trumped to Alaba’s signature by the Spanish champions, who are looking to bring in cover for Alba.